The winery is quite a sight to see, especially at night. It includes a grand entrance waiting area, tasting room, bistro, two banquet rooms with cathedral ceilings, and an outdoor patio. Everything portrays a traditional Italian-Tuscan feel. If you haven’t had a chance to experience the winery yet, this coming Sunday, October 7th they will be hosting their Annual Fall Festival, for the 3rd year in a row. At the fall festival there will be fun activities for the whole family, you can enjoy some delicious fall inspired food, and enjoy the sounds of the Uptown Band. Also, sample some of their wine! Learn more about the fall festival. 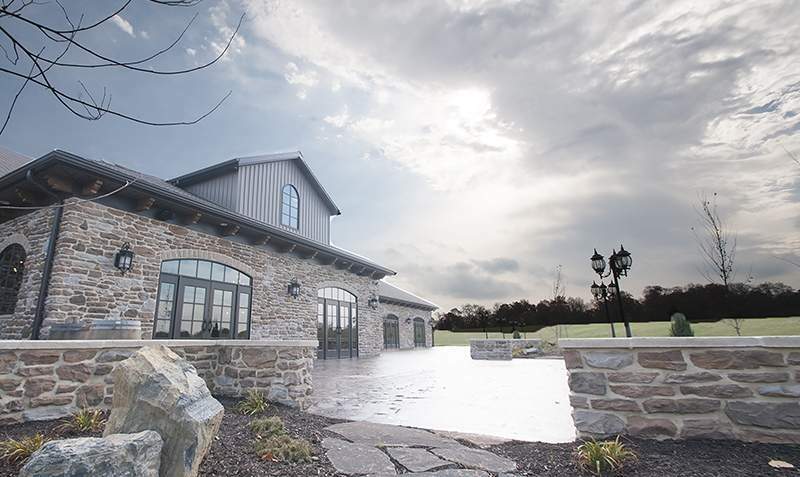 Folino Estate also has a few new projects that will be opening, one of them being Vintner’s Table in Phoenixville. Vinter’s Table will include a tasting room, gift shop, and Salumera with perfectly paired meats and cheeses. We are proud to again have the opportunity to design the new venture they are doing. Vinter’s Table is set to open this Fall. Take time to visit the winery today and enjoy a bite to eat in their bistro. Also, be on the look out for the opening of Vintner’s Table! Should you or someone you know be in the market for an architect to design a winery or brewery, keep Watkins Architect in mind. We enjoy creating unique designs for both. Take a moment and find out what other wineries and breweries we designed.